Samsung may be looking to take its rivalry with Apple to another level, as a new report has the South Korean tech giant buying streaming media startup Boxee in a move that will bring it into even more direct competition with the Apple TV. 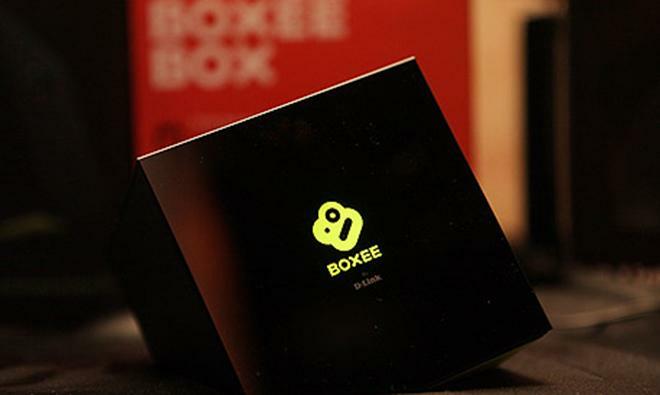 Boxee produces a set-top box that streams media to TVs and other devices, and Samsung has reportedly purchased the small Israeli startup for about $30 million, The Marker reported on Wednesday. Samsung will continue to employ Boxee's 40 employees, according to the report. A follow-up report from The New York Times confirmed The Marker's initial report, with Samsung affirming that it has indeed acquired assets and talent from Boxee. The degree to which Boxee will be brought into Samsung's operations is unclear from statements company representatives have made. "Samsung has acquired key talent and assets from Boxee," a spokeswoman told the Times. "This will help us continue to improve the overall user experience across our connected devices. Boxee has raised $28.5 million in funding as a startup, and the company was said to be looking for an additional $30 million before it decided to try for an outright acquisition. Samsung already has a number of devices that perform similarly to Boxee's technology, but the talent and tech acquisition could be aimed at helping the South Korean company develop better options to compete with Apple's Apple TV set-top box. Apple has sold millions of units of the diminutive content streamer, while Samsung's existing efforts have comparatively fizzled. In addition to its HomeSync and other set-top devices, the company produces a range of Smart TV options that hit many price and capability points. Samsung could also integrate Boxee's technology into the functions of those devices in order to better their capabilities. Samsung could also be working on a shortened calendar with regard to how it can counter what many think is an imminent larger move by Apple into the television segment. While the Cupertino company has long insisted that the Apple TV was a hobby, the firm is largely expected to either be working on a full-fledged television or a vastly upgraded set-top unit with a much wider range of abilities. To that end, Apple is said to be working with Time Warner to secure a content deal that could be announced in the coming months.